History Lessons offers a lighthearted and fascinating challenge to the biases we bring to our understanding of American history. 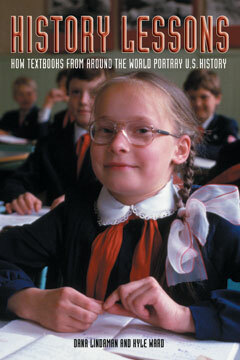 The subject of widespread attention when it was first published in 2004—including a full front-page review in the Washington Post Book World and features on NPR’s Talk of the Nation and the History Channel—this book gives us a glimpse into classrooms across the globe, where opinions about the United States are first formed. Heralded as “timely and important” (History News Network) and “shocking and fascinating” (New York Times), History Lessons includes selections from Russia, France, Iran, Saudi Arabia, Cuba, Canada, and others, covering such events as the American Revolution, the Cuban Missile Crisis, the Iran hostage crisis, and the Korean War, providing an alternative history of the United States from the Viking explorers to the post–Cold War era. By juxtaposing starkly contrasting versions of the historical events we take for granted, History Lessons affords us a sometimes hilarious, often sobering look at what the world learns about America’s past.